Combining three advanced forms of creatine, our powerful blend is scientifically proven to boost your performance1 — helping you to break barriers and achieve your goals. We’ve used a unique blend of creatine monohydrate, creatine gluconate, and creatine ethyl ester HCL, that will help take your training to the next level — in the gym, on the track, or on the pitch. And, it comes in a range of exciting flavours — Blue Raspberry, Fruit Punch, Cola, as well as Unflavoured. 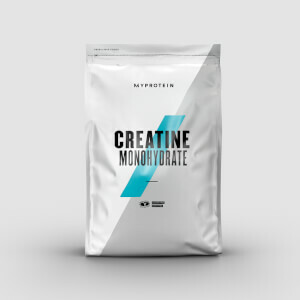 Creatine monohydrate — one of the most highly researched forms in the world. Creatine gluconate — a molecule of creatine bonded to a molecule of glucose, that’s absorbed in a similar way to glucose. When to take Creatine Blend? We recommend having 3g immediately post-workout, with your protein shake, to get the results you’re looking for. What does Creatine Blend work well with? Creatine helps you to boost your performance and grab those all-important gains. To ensure you’re getting the necessary amount of protein to grow muscle,2 add our Impact Whey Protein – created with premium whey, it’s packed with an impressive 21g of protein per serving, delivering the protein you need from a high-quality source. Do not exceed the stated recommended daily dose. This product is a food supplement and therefore should not be used as a substitute for a varied diet and a healthy lifestyle. Store in a cool dry place, out of the reach of young children. Sunset Yellow, Allura Red and Brilliant Blue FCF may have an adverse effect on activity and attention in children. Suitable for vegetarians and vegans. Creatine Monohydrate, Creatine Gluconate Powder, Creatine Ethyl Ester HCl. Creatine Monohydrate , Flavouring, Creatine Gluconate Powder, Creatine Ethyl Ester HCl, Maltodextrin, Sweeteners (Sucralose, Acesulfame Potassium), Acids (Citric Acid, Malic Acid), Salt, Colour (Brilliant Blue FCF). 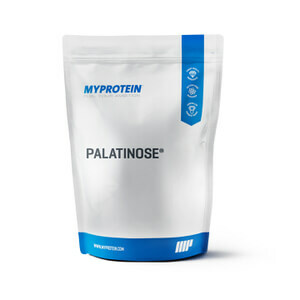 Creatine Monohydrate, Flavouring, Creatine Gluconate Powder, Creatine Ethyl Ester HCl, Sweeteners (Sucralose, Acesulfame Potassium), Acids (Citric Acid, Malic Acid), Salt, Maltodextrin, Colour (Allura Red). Creatine Monohydrate, Flavourings, Creatine Gluconate Powder, Creatine Ethyl Ester HCl, Sweeteners (Sucralose, Acesulfame Potassium), Acids (Citric Acid, Malic Acid), Colours (Sunset Yellow, Allura Red, Brilliant Blue FCF).